What if Darcy were president? 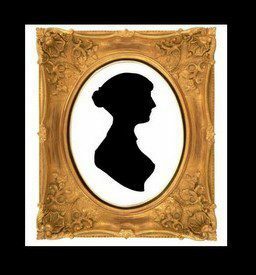 A modern adaptation of Jane Austen’s Pride and Prejudice by Victoria Kincaid. Eventually, circumstances force Darcy and Elizabeth to confront their true feelings for each other, with explosive results. But even if they can find common ground, Mr. Darcy is still the president—with limited privacy and unlimited responsibilities—and his enemies won’t hesitate to use his feelings for Elizabeth against him. Can President Darcy and Elizabeth Bennet find their way to happily ever after? The author of best-selling Pride and Prejudice variations, historical romance writer Victoria has a Ph.D. in English Literature and has taught composition to unwilling college students. Today she is a freelance writer/editor who teaches business writing to willing office professionals and tries to give voice to the demanding cast of characters in her head. She lives in Virginia with an overly affectionate cat, two children who are learning how much fun Austen’s characters can be, and a husband who fortunately is not jealous of Mr. Darcy. A lifelong Austen fan, Victoria has read more Jane Austen variations and sequels than she can count – and confesses to an extreme partiality for the Colin Firth miniseries version of Pride and Prejudice. Below are some of her previous books. Make a comment at the end of the post and tell us if Darcy would get your vote. Let us know if you shared this giveaway on your personal Facebook account and pronto! That’s it! Follow those two rules and you will be a contender to win a copy of this unique book. The winner will get to chose what kind of copy (e-book or paperback) and the author will ship it to ANYWHERE in the world. How awesome is that? You have until next Thursday night to participate. Hi Kirsten, Yes, he would get my vote too! My vote is going for Darcy ! Shared on my facebook-account. Hi Heidi, Thanks for sharing and good luck with the giveaway! Can’t wait to see if Darcy is a Dem or a Republican. Thanks for your interest! Good luck with the giveaway! He is invariably courteous, but self contained, not sure if he fits the qualitys of a president to be very honest… But I’m very curious about the book! Hi, Thanks for your curiosity! Good luck with the giveaway! Hi Serena, Thanks for voting and twittering! Hi Kate, Thank you for being a faithful reader and good luck with the giveaway! I so enjoyed reading this book. It quickly was one of my favourite JAFF books. I love Victoria’s books. Hi Lynn, Thank you for the endorsement and for being a faithful reader! I loved reading this book and quickly added it to my list of favourites. I love Victoria’s books and this one was marvelous. He would definitely get my vote. Shared on Twitter. Mine too! Good luck with the giveaway! Darcy Bennet, you are the winner!!!! Sorry for the delay. I’ve been sick. It’s not Victoria’s fault. Please get in touch through here or Facebook asap. Let us know if you want an eBook or paperback. I’m so happy to hear that! Thanks for sharing. Can’t wait to read this. I bet Darcy is a republican. Very conservative. I’d vote for his pretty face, though. I would love to read this, but being a stickler for getting the paperback rather than Kindle, I must wait until I have the spare change to indulge myself. Around the holidays is always a tough time for us teachers! I hope it’s a huge success, Victoria! Yes Darcy will always get my vote. I shared on Facebook to. My vote is for Darcy! Congratulations Victoria! I’m so happy to win this. I look forward to hearing from Victoria soon.